Based in Middlewich, Cheshire, Kevin & Lynda are a husband and wife team, committed to help ensure your day goes your way, working closely with you to provide the music and atmosphere you wish for. 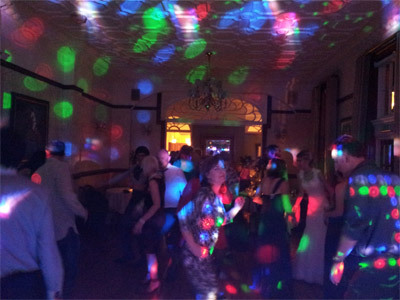 If it's a full-on disco or just background music for a presentation you require, we can deliver. Kevin has been in the music business for most of his life and has been involved in all genres from classical to pop and everything inbetween. Lynda brings a wide musical knowledge and superb organisational skills into the mix. Together we can help supply the perfect music presentation to drive your celebration along or augment your event. Required by many venues, KL Music has a current PLI policy with National Association of Disc Jockeys in the amount of £10 million. Also required by many venues, KL Music has supplied satisfactory evidence of holding current PAT inspections of their equipment dated within the last 12 months. A Method Statement, outlining KL Music&apos;s Health & Safety procedure for setting up disco equipment has not been supplied. Why do people choose to book KL Music? Good price and sounds very professional. He was very local to our event. Many years in the music industry and the DJ will be him personally. "Kevin complemented our evening perfectly as we had 2 bands performing at the event too. He played good music; a lot of our requests quite early in the evening which certainly got people in the party mood and dancing.....before the first band played. Thank you, we had a fantastic time." "On time, great sound, everything great, definitely recommend"
"the event started at 7.30 and Kevin was there at 4.30. Very professional and although he had a tonne of equipment, it was all kept neat and tidy and didn't look cluttered at all. Music was brilliant with and without requests. Thank you "
"Kevin did very well providing music for our sequence dance section which was a first for him.He kept all the generations happy all evening. Also he kept the noise level down as requested so our guests could talk to each other.we,ve had lots of comments back saying what a good evening it was with all types of music covered. If we need a disco in the future Kevin is the one we shall go to. " 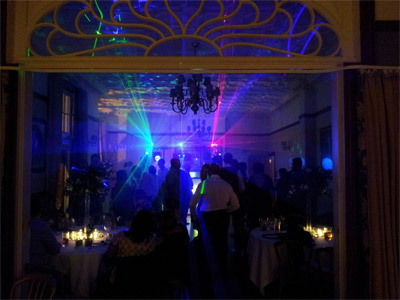 "Excellent evening, music choices perfect during dinner and dancing. Very good set up with all options to suit requirements, will definitely recommend 5* service. " "Very good, like to hire his disco again and recommend it to my friends." "Kevin as dj did amazing job and my party was the best ever. I would highly recommend him as a dj and if I would need a dj in the future I would definitely hire him again. Thanks a lot. Nika and Sarah"
"Kevin Lever (KL Music) was fantastic. Great communication. Excellent price. I provided my own play list and Kevin used this and played the right music at the right time. The music was appropriate whilst guests were having the buffet. Kevin was not over using the mic and only used it to introduce speeches and reminding people about the photo booth closing. He was well presented and friendly and felt like I had known him for years. The equipment was very high market and lots of guests commented on how good Kevin was. The venue have asked for his cards as they wish to recommend him as they stated he was the best DJ they had seen in a long while. I would highly recommend him and would use him again should I have another party without any hesitation. Thanks Kevin. " "Kevin helped us out after being let down by a previous DJ 4 days before the party. He created a great atmosphere for my Sister's 40th Birthday which had everyone up dancing for most of the evening. Would recommend to a friend! :)"
"Very professional, pleasant, helpful.....would strongly recommend to friends and family....could not be happier.....everyone had a great time. Thanks a lot. Alan C"
"Excellent DJs - would recommend and use again. Very friendly, good communications and good value for money compared to other quotes received. Thank you both for a memorable evening :-)"
Get FREE no-obligation disco quotes from KL Music and other DJs covering your venue. Take 2 minutes to fill in some basic details and we'll do the rest! If you are contacting KL Music about an event, it's always a good idea to include the DATE, LOCATION, EVENT TYPE, AGE GROUP and TIMINGS to speed things up!